A few months ago, we introduced the concept of examining the careers of players who, for whatever reason, had major league careers that were less extensive than warranted by their talent. These players either were inordinately delayed in gaining a major league job, and/or were deployed in a less regular role than they plausibly might have been. Our intent in this series is to do our best to imagine what sort of career such a player would likely have achieved, had he been given a substantial chance at regular play. Our methodology is outlined in the References and Resources section below. All adjusted stat lines appear in blue, all actuals are in black. He became famed primarily for his legendary pinch-hitting prowess, with the Dodgers in the 1970s. But Señor Mota had been hitting up a storm in a semi-regular fourth outfielder role for the Pirates since the mid-1960s. It took a pretty darn good ballplayer to gain semi-regular fourth outfielder status on that Pittsburgh roster, which had future Hall of Famers in Roberto Clemente and Willie Stargell handling right field and left, plus defensive wizard Bill Virdon, and then batting-average-wonder Matty Alou, in center field. The young Mota was a good defensive outfielder, with even enough fielding aptitude to help out at third base or second base as needed, and at the plate he simply put the ball in play with calm, hard authority. Mota was a student of the game in the classic sense: He was never satisfied, always working hard, and steadily, relentlessly improving. He was a better hitter in his late 20s than he had been in his mid-20s, and still a better hitter in his early-to-mid 30s. And as he further aged, and lost his speed and defensive skill, Mota’s capacity to turn any pitch into a hissing dart didn’t recede in the least. If you never saw him, you missed one of the rarest of pleasures, though for us Giants fans it was a bitter-edged pleasure. Mota was always in shape, never rotund like Tony Gwynn, but otherwise Mota at bat was a right-handed version of Gwynn: perfectly balanced, impeccably confident and at ease, seeming to cause each pitch to slow down and place itself on a tee smack in the center of his hitting zone, making utterly pure contact with negligible apparent effort. Had Mota found himself early in his career on a ball club with less talent ahead of him, it’s entirely likely he’d have earned himself a starting role, and a career something along the lines of what we see here would likely have ensued. He wouldn’t be Hall of Fame worthy by any means, but Mota would have been celebrated as a minor star, and probably would have made more than one All-Star team. Most second-string catchers, in every era, have been of the give-us-that-solid-defense-and-anything-you-hit-is-a-bonus variety. These two marched to an entirely different drummer. Had the Yankees in his era not been as extraordinarily rich in catching talent as they were (hello, Yogi Berra and Elston Howard), Blanchard’s power likely would have gained him first-string status. A career along the lines we see below would have been the result: an impactful player, and a fleeting star. Everything about Johnson was extreme. He was extremely big, and extremely strong. He looked extremely tough, as grittily tough as an old leather glove left outside for weeks in the dusty midsummer San Antonio sun. Johnson was an extremely poor defensive catcher, and an extremely powerful hitter. As his career progressed, it continued to puzzle me why no team just said, forget about him being a catcher, let’s just put him at first base/DH, and let the opposition deal with him for 500 at-bats a year. It never happened, but we see here what it might have looked like if it had. Johnson wouldn’t have been a significant star, but he’d have caused many an opposing pitcher to become extremely fed up with him. Even more than backup catchers, backup middle infielders tend to be chosen for the role not on what they can deliver with the bat, but for their mastery of the glove. It’s not typical to find utility infielders with something special to offer in the offensive half of the inning, but that was the case with each of the following four. Few careers in major league history were as weird as his. At age 16, Tommy Brown wasn’t quite the youngest major league player of all time, but he was the youngest ever to play an on extended basis in a regular role, as the day-in, day-out Dodger shortstop over the final month-and-a-half of the wartime 1944 season. He was egregiously overmatched, but play he did, and the following season, after 85 games in AAA, Brooklyn again promoted Brown, and again put him in the everyday shortstop role. This time, though frightfully error-prone in the field, the teenager managed to more or less hold his own at the plate, displaying a hint of power. But at the war’s end, just as everyone else was being mustered out of military service, Brown was drafted in. He spent all of the 1946 season and most of 1947 under the direction of Uncle Sam. But upon Brown’s return, Branch Rickey’s Dodger organization didn’t make what would seem to be the obvious move with this talented-but-raw youngster, and send him to the minors to gain playing experience. Instead, they kept him on the big league roster, but deployed him in a backup third baseman role through 1948. Then the Dodgers gave up on Brown’s ability to make it as a major league infielder, though they’d given him just 49 games at third base in 1947-48. (Brown’s nickname was “Buckshot,” which implies a powerful but scattershot throwing arm.) For the following two seasons, Brooklyn deployed Brown strictly as a backup left fielder, and as a pinch-hitting specialist. Though this was a highly questionable manner of using a 21-22-year-old with clearly impressive potential, Brown thrived in the role, delivering both a high batting average and extraordinary home run power in his limited chances. Finally in June of 1951 the Phillies rescued Brown from the back end of the Dodger bench. In Philadelphia in 1951, and then with the Cubs in ’52, Brown was used in more extensive infielder-outfielder utility roles. Again he demonstrated impressive ability with the bat, but still, through the age of 24 no one had decided to give this young athlete an opportunity to play regularly for a full major league season. Then something went wrong for Brown. I don’t know whether he got hurt, or if he had issues with conditioning or drinking or something, but in 1953 at the age of 25 Brown hit poorly for Chicago, and would never hit well again. The Cubs farmed him out in 1954, but his hitting in AAA was so mediocre that by mid-1955 he was demoted further, to the AA Southern Association. Brown played the rest of his career in that league, doing okay but not good enough to be a star even at that level. His final pro season was 1959, at the age of 31. Here we envision what might have happened if Brown had been given the opportunity to play as a major league regular. We can’t avoid the sudden and early decline, but for a while there this was a young player with unusual power. The ability to reliably pull lazy fly balls to a distance of 300 feet may not be a particularly impressive feat of batting skill, but it was nevertheless a splendid attribute when one’s home ballpark was the Polo Grounds. Hofman was an otherwise unremarkable backup second baseman who, in his mid-to-late 20s, perfected the art of the cheap Polo Grounds homer; in his 670 major league at-bats he lofted 32 home runs, 20 of them at home. Cheap as they may have been, each counted for precisely as much on the scoreboard as any tape-measure moonshot. What if the Giants had had room in their infield to make Hofman a regular? Likely they’d have suffered defensively, but at least for a few years, they’d have received quite a bit of run production from this 5-foot-11, 175-pound infielder. If he’s remembered today at all, Mantilla seems to be regarded as a vaguely comic figure, a loser: the guy whose throwing error in the bottom of the 12th inning allowed the pennant-winning run to score in the National League playoff in 1959, and who then became a prominent member of the hapless 1962 New York Mets. Mantilla was, in fact, a good ballplayer. In his early 20s, he was a highly regarded infield prospect with the late 1950s Milwaukee Braves. Those Braves were rich in talent, and had no place for Mantilla except as a utility player through 1958. But in 1959, their veteran star second baseman Red Schoendienst was stricken with tuberculosis, and here was Mantilla’s big chance to step forward as a regular. Alas, the 24-year-old Mantilla utterly flopped, falling prey to The Mother of All Hitting Slumps. As of early August, Mantilla’s batting average was a sickly .165; he would perk up over the season’s final couple of months, but his inopportune 1959 failure affixed Mantilla’s status with the Braves as a utility man; he would remain with Milwaukee through 1961, but never get another chance as a starter. Finally getting to play regularly with the Mets in ’62, Mantilla did well, but his solid performance was overlooked amid the gosh-the-Mets-are-terrible hilarity. He was then traded to the Red Sox, and placed again in a backup role, but his hitting was now so robust that he muscled his way into a regular job by mid-1964. Mantilla’s Boston success was muted by the fact that the Red Sox were a bad team overall in that period, and his sudden power-hitting prowess was dismissed as a Fenway Park illusion. Certainly Mantilla took full advantage of The Green Monster, but the fact is he had matured into an excellent all-around hitter. But good luck was never something Mantilla could count upon, and now he was traded to Houston, whose home ballpark was the hitter-unfriendly Astrodome. In a utility role again in 1966, Mantilla didn’t do badly, but the offensive conditions stifled his numbers (Mantilla’s road OPS in 1966 was .756; at home, .527). The Astros released Mantilla; the Cubs picked him up, but in spring training of 1967 he tore up a knee, and his big league career was finished. Here we see a Mantilla who gets an earlier chance at regular status, and thus is allowed to play through the 1959 slump. He wasn’t a great player, but Mantilla’s bat was quite good for a middle infielder. No, this isn’t Indian Bob; this is one of three other Bob Johnsons to have played major league ball. Perhaps you’ve never heard of this guy, as he is rather obscure, but this was a utility infielder who swung a mean bat. In a backup role, one season he batted .295 in a league that hit .253, and in another he posted a .348 average in a .256-hitting league. And he wasn’t just a slap hitter, either; Johnson hit the ball hard. In the only year in which he played even semi-regularly over a full season, Johnson hit .288 with 12 homers. But following that one moment of regular prominence, Johnson was traded to Baltimore. The Orioles had an infield set of Brooks Robinson at third base, Luis Aparicio at shortstop, and Jerry Adair at second: one of the very best defensive infields in the history of the game. Johnson had no shot at a regular job, and he was branded as a utility player from that point forward. Here are three fellows who found themselves entrenched in utility roles early in their careers, and who might well have never emerged beyond that. But all three persevered and enjoyed much better second career halves, and interestingly, in their mid-to-late-30s wound up as Baltimore Orioles teammates. Lowenstein didn’t have star talent, but he was the kind of guy who could do a little bit of everything. He could handle just about any position on the field defensively, had decent power, nice strike zone discipline, and ran the bases quite well. But he wasn’t much of a hitter for average, at least not consistently. In the one season Lowenstein was given the opportunity to play every day, he didn’t hit his best, and he was quickly re-cast as a role player. Lowenstein kept on delivering solid contributions off the bench, and into his 30s his power improved. Toward the end of his career he turned in a couple of outstanding seasons as a platoon player. Here we see Lowenstein as more or less a full-career platoon player, a capacity in which he would have created a lot of value. Perhaps no other player in history demonstrated such remarkable broad-based improvement over the course of a career. Lacy didn’t produce a single home run in his first three years in the majors; a few years later he blasted 13 in 245 at-bats. Lacy didn’t achieve his 40th career stolen base until age 32; at age 34 he stole 40 in 121 games. 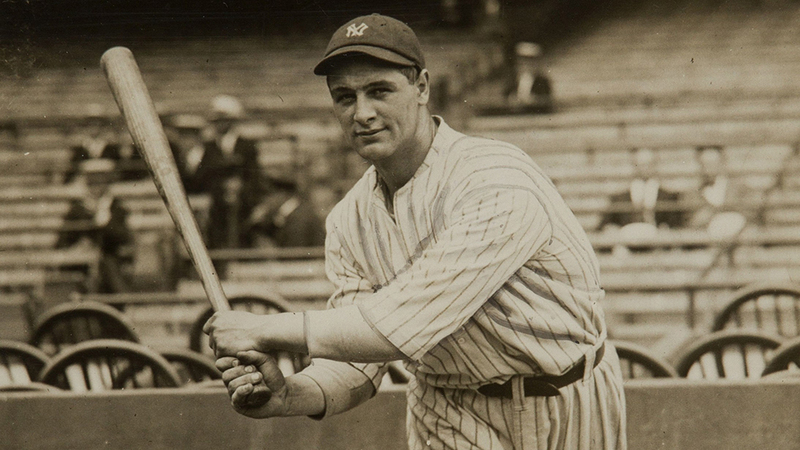 Lacy’s career batting average through age 31 was .268; he then hit over .300 in four of the next five seasons. But while Lacy’s improvement was genuine, even in his 20s he was a solid, multi-talented player. Had he not become stuck behind Davey Lopes early in his career, and wrapped in the utility-man label, Lacy would likely have delivered a career something along these lines: nearly 2,000 hits, and quite possibly an All-Star team or two. For the longest time, even a utility role was highly elusive for Dwyer; his status was so marginal that by the age of 27 he’d been traded three times, sent back to the minors, and released. He never would establish himself as even a semi-regular major leaguer, with a career high of 260 at-bats. But in his 30s Dwyer delivered a solid decade as one of the most reliably productive bench players in history: He could just flat-out hit. Had Dwyer been given the opportunity to make it as a starting player, his career would have looked about like this. He wouldn’t have been a star, exactly, but certainly was good enough to be a very solid regular for a very long time. In the 1954 World Series, Rhodes never started a game. But by the seventh inning of the third contest, when the Indians finally managed to retire him, Rhodes had delivered two run-scoring pinch-hit singles and one walkoff pinch-hit three-run homer, and for good measure, had stuck around in one of the games to add another home run. The Series was effectively over. It was a moment on the sport’s center stage as brief as it was shining. Rhodes’s decline came early and strong; in the same manner, perhaps, as his cocktails. But he sure loved to take a whack at that ball, and here we glimpse what he might have done if given the chance to do it from the beginning of the game more often. – I can’t just make stuff up; all adjusted stats have to start with the particular player’s actual stat lines, either major league or, as appropriate, minor league. – In most cases, the stats from the season being adjusted are included (even if in a minor weighting) in the adjusted line, to give the adjusted line some of the flavor of that actual season’s performance. – No player’s career can start earlier than it did, or end later than it did. I’ve endeavored to create a new version of each player’s career that’s a plausible representation of his maximized major league career. Feel free to e-mail me with any questions about the precise formulae used for any particular player.